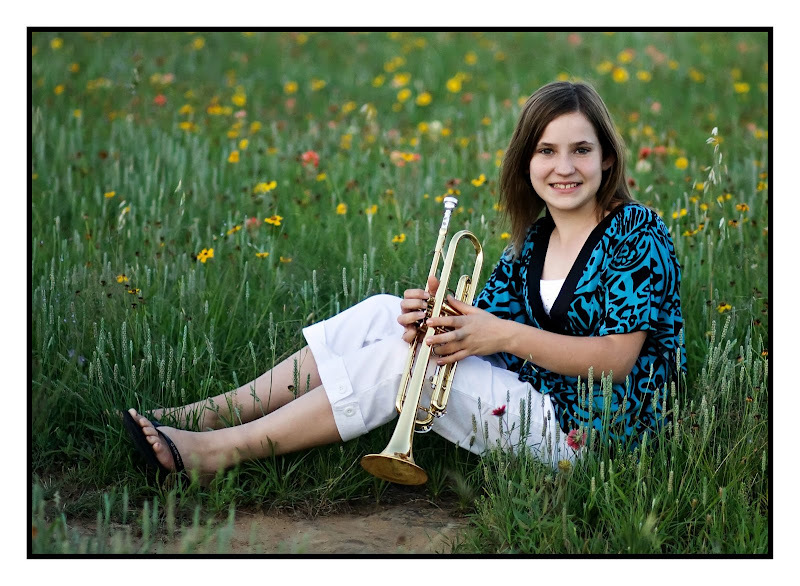 Lori Riggins Photography: Gotta love the brass! Tonight was the Junior High Band Concert. Let me just tell you, the 6th grade band SERIOUSLY rocks! They are very, very good. In fact, at their recent concert contest, they not only got 1st division from all 3 judges, they won the trophy for overall best band! And they weren't just competing against other 6th grade bands, either - they were competing against all middle school bands! They really do have some talent... And of course, I'm partial to the trumpet section! 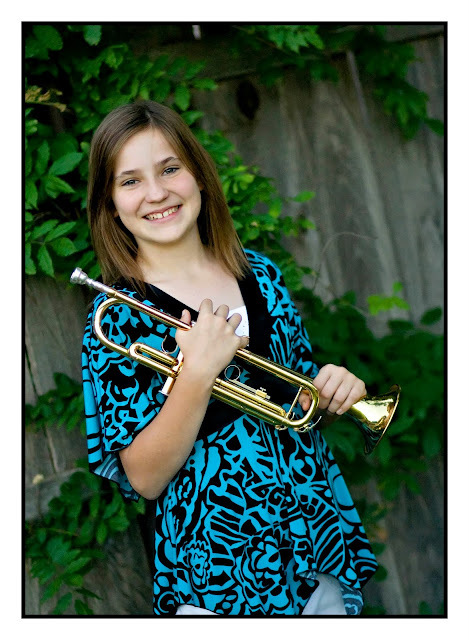 :) I was really proud of Becca tonight - she received the award for Most Improved Trumpet! She's worked really hard! She is the milkman's daughter !! What a gal ! !